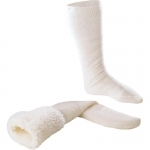 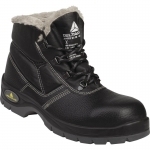 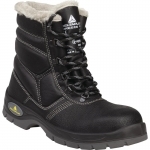 This section contains photos, descriptions and prices of thermally insulated work boots and rigger boots. 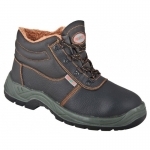 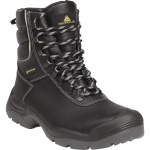 Such work footwear often features metal or composite protective cup and anti-perforation mid sole. 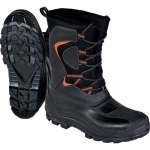 Additional water resistance leather treatment provides waterproof characteristics to meet requirements of S3 protection level. 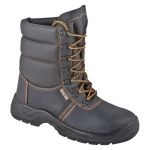 Winter rigger boots about 30 cm high will be ideal for construction workers and those who works where roads do not exist.